1) Natural medicines [i.e. herbology or homeopathy] or physiological treatments [i.e. chiropractic]. 2) Supernatural treatments such as energy healing, faith healing, amulets and incantations. Hashkafa: The use of either form of unconventional treatment is subject to a Hashkafic question as to whether it is advised to go after these practices, in as much as the Torah has given permission for the doctor to heal, and these treatments are not recognized by medical science for due reason. The Hashkafic aspect of this matter will be dealt with in D.
Under certain conditions it is permitted to make use of an alternative medical treatment even though it is not understood by medical science, and involves unexplainable phenomenon, as the Torah does not prohibit an effective medical treatment simply due to it being unexplainable. *For further research on these subjects please see the following articles mentioned in the footnotes. **Important note: The research to follow is an analyzation of the Halachic and Hashkafic perspective of using alternative medicine for a person whose life is not in danger. In a case that a person’s life is in danger, certain prohibitions may be pushed off for the sake of healing, as is always the case by a life-threatening illness, and thus an expert Rav is to be contacted. ***It is beyond the skope of this article to delineate a list of alternative medical practices and its Halachic ruling based on the rules explained here, and IY”H this will be published in a future article. What is Darkei Emori: Darkei Emori is literally defined as the ways of the Emorites. The Torah prohibits a Jew to follow the paths of the Emorites, which refers to the performance of actions that have no logic behind them and towards what they are desired to accomplish. This prohibition is possibly rooted in one of several negative commands such as “Bechukoseihem Lo Seleichu”, and “Lo Sinacheish” and practices of Avoda Zara, and Kishuf/sorcery. The ruling for nonconventional medical treatment: Any medical treatment that works in accordance to Segulah [i.e. supernatural causes] rather than natural cause and effect [i.e. scientifically based] does not contain the prohibition of Darkei Emori so long as it is recognizable [to the onlookers] that it’s intent is for the sake of healing [and the treatment has been established to be effective and it does not come from idolatry or Kishuf]. This allowance applies even though it remains unknown as to how the ailment is healed through doing the above action. However, if one does an action that is not recognizable [to the public] that it is being done for the sake of healing [and certainly if it’s effectiveness has not been established], then it is forbidden to do so due to Darkei Emori, as the Torah warned us against doing such practices as we may not go in the paths of the gentiles. The ruling by an incantation: It is permitted to recite incantations for the sake of healing, or for the sake of protection in order to prevent illness or injury. This applies even if one does not know for certain that the incantation works or not. However, if one knows for certain that the incantation does not work then it is forbidden to say it due to Darkei Emori. Furthermore, there are opinions who question that perhaps any incantation that is not verified to work, and every Kamiah that is not verified to work, contains the prohibition of Darkei Emori. Practically, [while we rule like the first opinion] every Baal Nefesh is to suspect for their words (in a situation which does not contain much need). 1. It was not founded by sorcerers or idolaters. 2. It does not involve sorcery or mention of idolatry. 4. It has been proven to work for at least three different people. 5. It is widespread enough to be recognizable to the onlooker that it is being done for the sake of medical treatment, and not as some strange act. In the above case, it is permitted to make use of an alternative medical treatment even though it is not understood by medical science, and involves an unexplainable phenomenon. How often must a supernatural medical treatment work for it to be considered permitted to be done? If the practice has been proven to work three times for three different people then it is considered valid, even if at times it does not work. Is the practitioner believed to say that his treatment works? Yes. He is believed to say that it has worked a number of times on patients. If a non-conventional action is widely practiced by people for medicinal purposes, can it be assumed to be Halachically permitted? Some Poskim rule that all incantation and Kemias [or actions] that have been spread amongst G-d fearing can be assumed to be valid and not contain the prohibition of Darkei Emori. May one desecrate Shabbos to do forms of treatment that work in accordance to Segula and are not recognized by medical science? 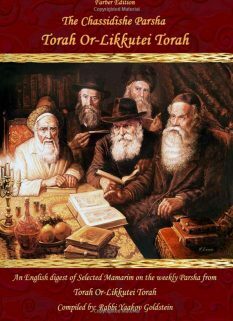 Some Poskim rule that any treatment that is based on Segula [supernatural healing] and not due to scientific understanding, is forbidden to performed on Shabbos if they involve Shabbos desecration. This applies even to those treatments mentioned in Chazal that work based on Segula. 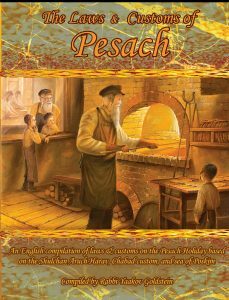 Other Poskim however rule that even treatments that work based on Segula may be used on Shabbos so long as they have been proven to work or have been written by Chazal. Practically, one may be lenient so long as it has been verified to have healing abilities, even if it works as a way of Segula. If this is not the case, then it may only be given if the patient is asking for it and doing so will calm him down. May one desecrate Shabbos to write a Kamiah [Kabalistic charm] for the patient? Patient is asking for it: If the patient is asking for this and it will calm him down and help him live then this may be done. Patient is not asking for it: If the patient is not asking for the Kamiah and one simply desires to use it to try to heal the patient then it follows the same dispute as mentioned above: Some Poskim rule that it is forbidden to be written in all cases. Other Poskim rule that it may be written if it has been proven to work three times and the person writing it has written at least three working charms. Practically, one may be lenient in this matter. May one desecrate Shabbos to do homeopathic treatments and other forms of natural treatment which are not recognized by conventional medicine? If the treatment has become accepted by medical experts and has been experienced with for a while and is verified to have healing abilities then it is allowed to be done without limitation, even if it works as a way of Segula. If this is not the case then it may only be given if the patient is asking for it and doing so will calm him down. Any supernatural treatment that makes use of sorcery or idolatry is forbidden to be performed by a Jew even if they have been proven to work, and are recognizably done for medical treatment. Accordingly, any alternative treatment that originated from sorcerers and idol worshipers is forbidden to be performed by a Jew even if they have been proven to work, and are recognizably done for medical treatment. Only those treatments that were innovated by the doctors and medical practicioners do not contain Darkei Emori even if they work based on Segula [if they work and are recognizable]. If one is unsure of the supernatural treatments origin, may it nevertheless be used? Some Poskim rule that a treatment whose source is not known if it came from medicine or idolaters, is forbidden due to Safek Darkei Emori and Kishuf. Other Poskim however argue and rule that in all cases that it is not known that it was innovated by idolatry or Kishuf one may use the treatment if it is known to work and is recognizably done for healing. Having a gentile sorcerer do the treatment: It is permitted for an ill person to visit a gentile sorcerer and have him perform the sorcery in order to help heal him. However, the Zohar states it is a great prohibition for even a sick person to visit a sorcerer. This applies even in a case of danger of life. Having a gentile idolater perform medical treatment: It is forbidden to have an incantation said by an idolater if he mentions the names of idolatry. This applies even in case of certain death. Likewise it is forbidden to receive treatment from him of which it can be assumed that he gives credit to idolatry for its successfulness. Christians are considered idol worshipers in this regard and one may not receive medical treatment from them in any case that the treatments power is attributed to Oso Ish. All incantations said by a priest and religious idolater can be assumed to contains tribute to their idolatry and is forbidden to be done. Hashkafa: Should one follow after the permitted non-conventional treatments that work based on Segula? Despite the Halachic permission granted under fulfillment of the above conditions to perform treatments that do not work in accordance to medical science but rather Segula, the Poskim have denigrated its use in certain instances. The use of even the permitted forms of unconventional treatment is subject to a Hashkafic question as to whether it is advised to go after these practices, in as much as the Torah has given permission for the doctor to heal, and these treatments are not recognized by medical science due to lack of verification of their efficacy. 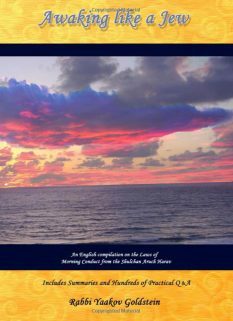 For a full review on the correct Hashkafic approach on using non-conventional medical treatments that do not involve any Halachic issues, see the following article printed in the Assia journal. 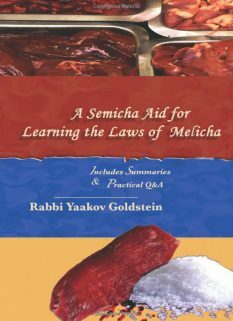 The Midrash Pinchas of Rav Pinchas of Koretz states that one must be very particular against visiting gentiles for Segula medical treatments, as they are filled with sorcery, and the way it works is through them entering an even greater impurity into the body which causes the lesser impurity and ailment to leave. · Even if cleared of Halachic issues, one is to desist from going after supernatural forms of healing, and rather go to a regular doctor. · Even those treatments that do not involve anything supernatural, one is to verify the effectiveness of the medicine or treatment through inquiring the patients of the individual. · Even those treatments that do not involve anything supernatural, one is to verify the details of the treatment, its source and how it works and then present it to a Rav for a Halachic ruling. The egg of a locust called Chargel is a Segula against ear pain. It is hung on the ear that is in pain in order to relieve it. The tooth of a live fox is a Segula against oversleeping. It is hung on a person that is sleeping too much in order for him to awaken. The tooth of a dead fox is a Segula for falling asleep. It is hung on a person that is having trouble falling asleep in order for him to sleep. A wood nail used for crucifixion is a Segula for healing a swollen area due to being hit by a metal object. It is hung on a person that is sleeping too much in order for him to awaken. Certain stones and gems have healing powers and are used to heal certain ailments. The Tekuma stone when worn is a Segula to prevent a woman from having a miscarriage. The Ruda plant is a Segula against Ayin Hara and sorcery. It is carried by the person and helps heal someone who is under a bad spell. A certain Kamiah was known to have the power to make a person vomit his food. Whenever someone would consume poison this Kamiah would be written and the person would vomit and have his life saved. Feeding the liver of a rabid dog to one who was bitten has the Segula to remove the rabies. 3. It does not involve diagnosing, or predicting the future, using supernatural or irrational methods. Even if cleared of Halachic issues, one is to desist from going after supernatural forms of healing, and is rather to visit a regular doctor. Even those treatments that do not involve anything supernatural, one is to verify the effectiveness of the medicine or treatment through inquiring the patients of the individual. Even those treatments that do not involve anything supernatural, one is to verify the details of the treatment, its source and how it works and then present it to a Rav for a Halachic ruling. See https://en.wikipedia.org/wiki/List_of_forms_of_alternative_medicine for a list. See Rama 177/1 “This is only forbidden if the clothing of the gentiles are worn by them for sake of frivolity [pritzus] or it is a gentile custom that has no logic behind it, as in such a case there is room to suspect that the custom derives from the Emorite customs, and that it derive from practices of idolatry passed down from their forefathers.”; See Kapos Temarim Yuma 831 and Chavos Yair 234 that Darkei Emori applies towards practices which the gentiles developed as a result of idolatry, in belief that these actions invoke assistance from their deities. See Minchas Yitzchak 6/80 that Darkei Emori was prohibited due to that the Emorites innovated the practices based on Kishuf. Ruling of Admur: The fact that the treatment must be known to work is implied from the wording of Admur ibid and from fact that an incantation/Kemia is more lenient than a treatment, and there is a dispute by an incantation if it must be known to work, hence implying that by a treatment it must be known to work according to all. See also the coming footnotes. 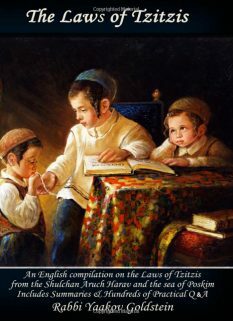 Explanation of Halacha: Tzaruch Iyun behind this Halacha and the reason for why its ruling differs from the previous ruling regarding illogical actions done for healing. In the previous ruling no mention was made regarding the success level of the treatment, and it simply has to be recognizable to others that it is done for medical purposes, irrelevant of whether it is understood or not or whether it works or not. In this Halacha however Admur depends the allowance on the success level and not on whether it is recognizable to others that it is done for healing. Accordingly, the law by a Lachash/Kemia is stricter than that of a regular treatment. However, according to the explanation of the Levushei Serud it ends up that the law by a Lachash/Kemia is less strict than that of a regular treatment, as by a regular treatment, according to all it must work, while by a Lachash according to some it is valid even if it is not proven to work. The Levushei Serud ibid explains the reason for this leniency by a Lachash/Kemia is because everyone knows that some Lachashim/Kemias work, and thus unless one knows for certain that it does not work it does not contain Darkei Emori. One must thus conclude that even according to Admur, Segula treatments must be known to work, as rules the Levushei Serud, and in addition it must be recognizable to all. Michaber 179/1 regarding asking questions to star gazers, or lottery; Rama ibid regarding Kosmim, Minachshim, Mechashfim; Michaber 179/3-4 regarding diagnosis and making future decisions based on actions that have no logical connection. Binyan Tziyon 1/67; See also Tzemach Tzedek 38 who permitted a Segula treatment on Shabbos without discussing that perhaps it comes from idolatry. This possibly refers to energy healing. 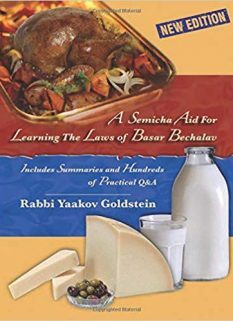 Rabbeinu Bechayeh Tetzaveh 28/15 explains how each one of the stones on Choshen, corresponding to each Shevet, held special healing powers and Segulos; See also Pesech Dvir 301/9, brought in Kaf Hachaim 301/137 that a certain stone was used to heal an eye ailment.